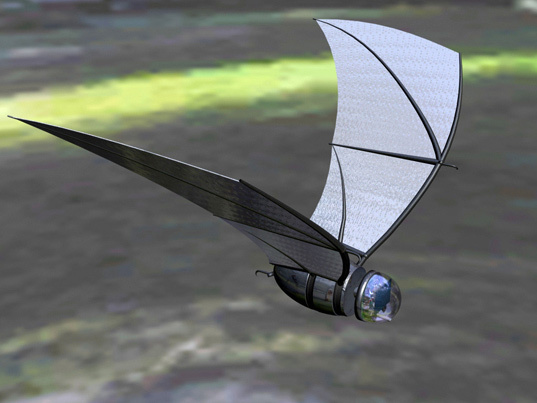 In this season of specters and spooks, what could be scarier than a steel-winged robotic spy plane shaped like a bat? 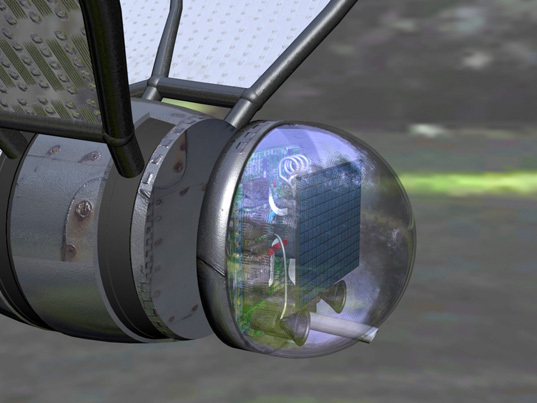 The aptly named COM-BATis a six-inch surveillance device that is powered by solar, wind, and vibrations. The concept was conceived by the US military as a means to gather real-time data for soldiers, and the Army has awarded the University of Michigan College of Engineering a five year $10-million dollar grant to develop it. The grant will establish the University of Michigan Center for Objective Microelectronics and Biomimetic Advanced Technology, called COM-BAT for short. The center will focus upon developing sensors, communication tools, and batteries for “the bat”. Some concepts that they are working on include tiny cameras for stereo vision, an array of mini-microphones capable of tracking sounds from different directions, and small detectors for nuclear radiation and poisonous gases. The design will also feature “quantum dot solar cells” that are twice as effective as current photovoltaics, in addition to an autonomous navigation system that is 1,000 times smaller than current systems. The grant includes an option to renew for an additional five years and $12.5 million in funding. It looks like it was inspired by the Crystal Bats in the movie "The Dark Crystal". Agreed, but I would like to add where can I buy one? Whilst I'm not convinced that it's use will make the world a better place, it is a beautiful piece of design - the design of the wings is so organic.